What Does It Mean To Be A Certified Equestrian Coach? Canada's equestrians, both new and experienced, are looking for direction and guidance that can be found through a mentor or coach. These individuals play a role that brings together the love of a sport with skill and learning. As with many sports, the coaches who impart information and help develop the skills that set athletes up for success also need to be cultivated and developed. The Nova Scotia Equestrian Federation (NSEF) is the partner to help develop your coaching skills. The NSEF administers a program recognized by, and in partnership with, the National Coaching Certification Program (NCCP), the Coaching Association of Canada (CAC) and Equestrian Canada (EC).The Coaching Program includes the disciplines of Driving, English and Western and includes training opportunities and competency based evaluation for certification. The Coaching Program is formatted to develop skills of planning, encouragement, equestrian knowledge and technical competency. What is the Coaching Program? In general, The National Coaching Certification Program (NCCP) is a federal government-initiated program designed to give the public knowledgeable and qualified instructors and coaches at every level of all sports.The Equestrian Coaching Program provides NSEF members an opportunity to be recognized within the equestrian community and provide accreditation to their own facilities. The certification process is available in four different streams: Instructor, Competition Coach, Competition Coach Specialist and High Performance Coach. Specialization within disciplines is introduced at the Competition Coach Specialist level. These levels are non-progressive, meaning that you do not need to take one before you take another. They are independent and should be taken according to the student base you are teaching. Whether you are interested in coaching beginners or have a passion for the competitive world, there is a coaching stream suited to you. Over time, you may find your focus changes or expands, at which point we would encourage you to explore another certification appropriate to your clientele. The NCCP Equestrian Coaching Program is formatted to develop skills of planning, encouragement, equestrian knowledge and technical competency. A career in coaching takes great mentors, practice, education and time. As with any profession, coaches work in a world that is constantly evolving and progressing. Equestrian coaching requires diligence to safety and an understanding of the learning needs of your students. Through this Coaching Program, candidates are certified to have proven strengths and education in all areas. Courses available to candidates continue to reinforce good practice techniques and give coaches the opportunity to connect with peers and mentors to learn new techniques and exercises. As a certified coach, recognition of achieving a standard of coaching skills provides potential clients with a measure of your skills, rather than just relying on word of mouth. Continuing education and required professional development, including first aid, assure clients of your commitment to stay current in the sport. Independent insurance companies also provide discounts for farm and facility insurance to certified active coaches. 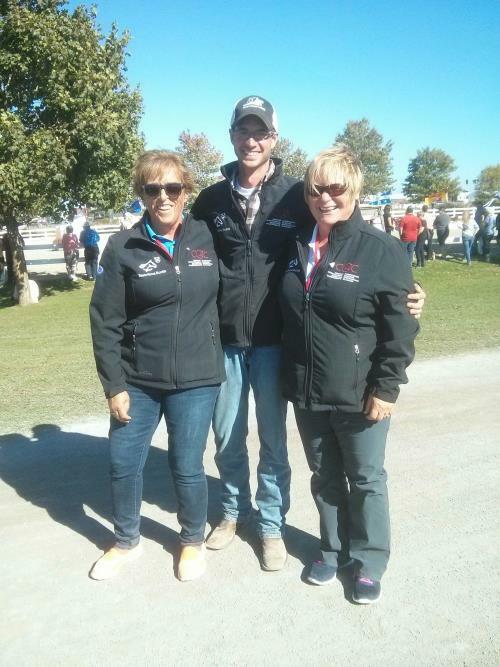 Professional designation is granted upon successful certification of the NCCP Equestrian Coach Program. A certified Instructor specializes on the instruction of children and adults learning to ride, establishing foundational riding skills with an eye on safety. A certified Competition Coach introduces riders to the competitive environment. More advanced skills in the development of a competitive training program, performance analysis and mental preparation for competition are required to become certified at this level. A certified Competition Coach Specialist (CCS) has a discipline specialty, and is developing riders competing at the provincial and national levels. These coaches have more in depth knowledge of developing training plans for athletes, requires a working knowledge of the Equestrian Canada competition rules for the level and discipline they’re teaching. Although a CCS is trained specifically for one discipline area, she/he is expected to be conversant in all English or Western disciplines. This program is administered by Equestrian Canada. Training to Compete and early learning and Training to Win stages of LTED. competitions, North American Junior and Young Rider Championships (team & individual) etc.